This Military Service Page was created/owned by Felix Cervantes, III (Admiral Ese) to remember Amsler, Jack Ward, Pvt. (Philippine Islands Campaign 7 Dec 1941 to 10 May 1942) A few hours after the raid on Pearl Harbor on 7 December 1941, Japanese aircraft attacked the Philippines. Three days later Japanese troops landed on Luzon. America’s meager air power in the islands was soon destroyed. Unable to obtain reinforcements and supplies, MacArthur could do nothing more than fight a delaying action. Between 16 and 18 December the few bombing planes that remained were evacuated, by their crews, to Australia, where US air power in the Far East was to be concentrated. 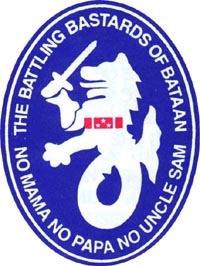 Other members of the air units took up arms and fought as infantrymen in the battle that ended, at Bataan and Corregidor, with the loss of the Philippines in May 1942.